Even as Uber and Ola are slugging it out to win over India’s cab hailing market, an old foe looking to make its presence felt once again. Meru Cabs, which had been running cab services in India long before anyone had heard of Uber and Ola, is looking to emulate the two companies with a model that — sort of — replicates their marketplace. Meru had thus far stuck with a model that charged upfront fares which were set up the company, but is now looking to move to a model where fares will be determined by supply and demand. And Meru’s model might end up being more transparent than Uber and Ola’s. In a pilot experiment in Delhi, which will be extended to other cities by April, Meru’s drivers will be shown recommended fares when a booking request is created by a customer. Meru’s drivers, will, however, be able to ask for a fare that’s slightly higher or lower than the recommended fare. If a driver is in a low-demand area during a lean time of the day, he could bid a lower fare for his ride. On the other hand, if the driver is in a high-demand area, he might end up bidding a higher fare. Customers, on the other hand, will be shown the different fares demanded by drivers who’re in the vicinity on Meru’s app. Customers will be able to see up to 10 nearby drivers, along with their demanded fares, their ratings, and their expected times of arrival. Customers can then pick a driver they want, and the booking will be made. It’s an interesting idea that lies halfway between fixed fares set by the government and the marketplace model used by Uber and Ola. The model will certainly put more power in the hands of drivers and consumers — while Uber and Ola charge fares based on an algorithm that neither drivers nor users have access to, or understand the workings of, this model will let drivers set fare that they deem fair. Drivers will be incentivized to provide reasonable fares — if they attempt to overcharge, customers will simply pick drivers that have bid lower prices. Meru says its new model could potentially make its rides cheaper than Uber and Ola. Uber and Ola had been providing dirt-cheap fares over the last few years, but are now looking to raise prices in order to finally make profits. Meru says it’s these raised prices that have allowed it to jump back into the cab hailing game. “Over the past three years, consumers have gotten used to cheap fares due to heavy discounting. But it was not sustainable and, therefore, the fares have increased now and it is a more level-playing field,” Meru Cabs CEO Nilesh Sangoi told ET. And the cab industry could do with some competition. Uber and Ola now have a common investor in Softbank — Softbank has been the biggest investor in Ola for a while, and just this year, also ended up purchasing over 15% of Uber shares. This had stoked concerns that Uber and Ola, with the backing of the same company, would put aside their rivalry and look to raise fares across the board. But Meru has indicated that it’s lying in wait to snap by any customers should Uber and Ola look to raise fares. 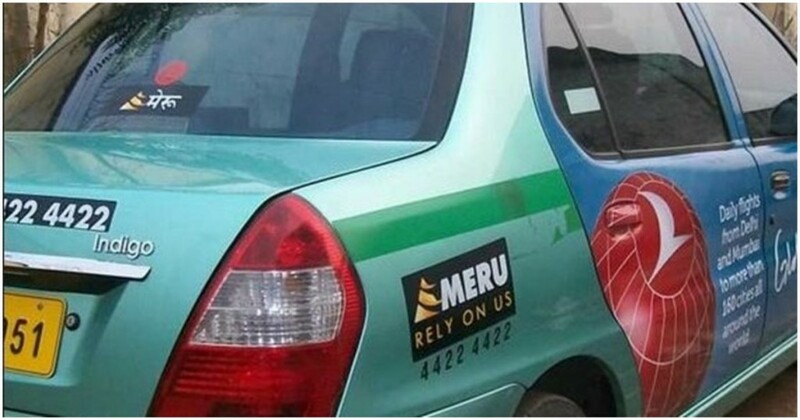 Meru might not be the biggest cab company in India, but will provide a vital role if customers are to keep enjoying the fares they’ve become used to in the recent past.